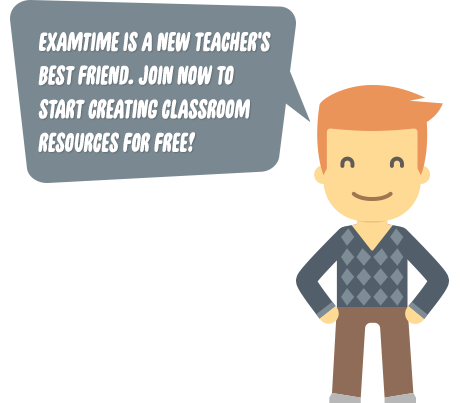 With thousands of classroom resources and teacher tools, ExamTime helps you to become a better teacher. What makes a good teacher? We think a person who is trying out various teaching methods to see what works best for their students and help them understanding and memorising topics better. As exam revision is a stressful time, anything you can do as a teacher to make your student’s life easier is invaluable! With ExamTime you’ve found your perfect teaching buddy to incorporate technology in the classroom. We offer unique teaching tools to create and share classroom resources with your students that will help them revising for exams. So why not start today by integrating online teaching techniques and making your classes a more engaging experience? Let us introduce you to our online tools that will help your students prepare better for their exams. From mind maps, to quiz maker, to teacher calendar: we have everything you need to convey your learning material. When we say we help you become a better teacher, we mean it! Our Mind Maps for teachers are perfect for organising and connecting ideas. Whether it is English, History, Mathematics, Science or any other subject you teach, students will be benefiting in your lessons. Check out some of these Free Mind Map Resources. Our Flashcard for Teachers are great for memorising key facts. So it’s perfect for English, Maths, learning History or revising for Science as your students can memorise formulas and equations. Help them develop their memory skills by using trigger words or symbols. Check out some of these sample Flashcard Resources. Our Quiz Maker for teachers is a great tool for all subjects as it allows you to create unique quizzes for your students. With the quizzes you can test your students and they can test themselves and their classmates on what they’ve already revised. It enables you and them to gauge how much of the course they already know and how much more work they need to do. Help them retaining the subject matter and practice an exam-like scenario. Check out some of these sample Quizzes for Teachers. The days of writing and taking reams of notes are well behind your students as education nowadays becomes more digital. Qualities of a good teacher include adapting to those changing ideas of teaching in the digital age. With ExamTime’s Teacher Notes your students can keep all of their revision Notes at one place safe online. Whether it’s History or their lengthy English poetry section: Our Notes can make your students’ life much easier! Check out some of these sample Teacher Notes. 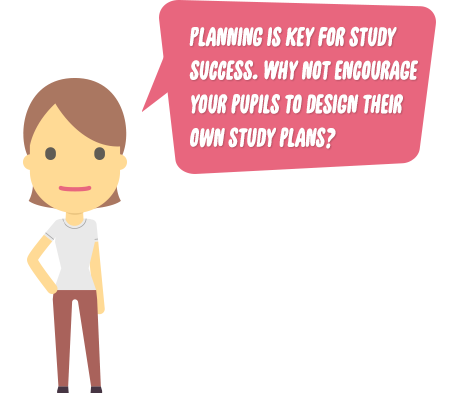 Encourage your students to use this unique tool for their own revision timetable. It’ll help them breaking down every step in their journey to getting better grades. If your students focus on tasks you want them to complete in the short-term it will keep them motivated. Do yourself and your students a favor and start creating your teachers calendar.